It’s time. No really. It’s time! It has been a long and coooooold winter up here in Canada (I know, I know, it should be a long and cold winter up here), so let’s just say I am ready for spring! So, when Doodlebug’s Simply Spring collection arrived on my doorstep, this collection went straight onto the crafty table. It might still be white and bleak outside, but my crafty space is filled with the spring colours and cute spring icons that make me smile. Goodbye winter – hello spring! I decided to whip up a few treat containers for some of my colleagues – a little surprise for the first day of spring! With the new doodle stamps and doodle cuts, these were a spring breeze! Each treat container is constructed out of textured cardstock and topped with patterned paper from the 6X6 paper pad. Because these treat containers are quite small, the scaled down patterns in the 6X6 are a perfect fit! And the great thing about working with the new stamps is you can even play around with layering! This little bird is a separate stamp from the turtle, but I felt they were just meant to be together! If you have never made a mini milk carton before, you will be amazed at how easy they are. There are definitely die cuts out there to purchase, but a rectangle sheet of paper and some scissors will do the trick as well! Here’s a little template to get you started! Hopefully these little creations bring a little spring smile to your face and inspire you to get crafty with this new collection! If you are looking for more information on the products used, come on by the Doodlebug blog for a full listing! Happy St. Patrick’s Day everyone! Are you ready for a little rainbow inspired project? About 20 or so years ago, my parent came back from a holiday with a little gift for me. 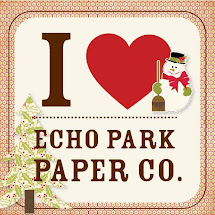 It was a little stamp and stamp pad from a vendor who was selling them at a craft fair. I had always been a crafty person, but this was the first time that I had used stamps. It didn’t take long for the collection to begin. 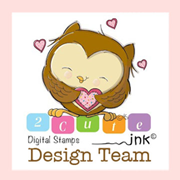 So you can imagine my excitement when Doodlebug announced the release of a whole line or adorable stamps to coordinate with their collections! I think I squealed. No, I know I squealed! Truth be told, I already had my marker collection organized by the ones that coordinated with Doodlebug colours and those that did not and I may have considered taking a day off of work so I could just spend it colouring! After playing with a few of the sets, these little pillow boxes became my first completed project with the new stamps. I coloured them up to match the amazing rainbow striped paper in the collection and added them to some simple pillow boxes made out of citrus and grasshopper coloured textured cardstock. I decided that these would be perfect as party favours for my daughter’s upcoming birthday, so I used a sentiment from the “flower girl” stamp set for the “thanks”, and added an adorable rainbow heart sprinkle to each to finish it off. I really love these stamps and I know you will too! Here’s to an ever growing stamp collection now populated with some of the cutest ones around! 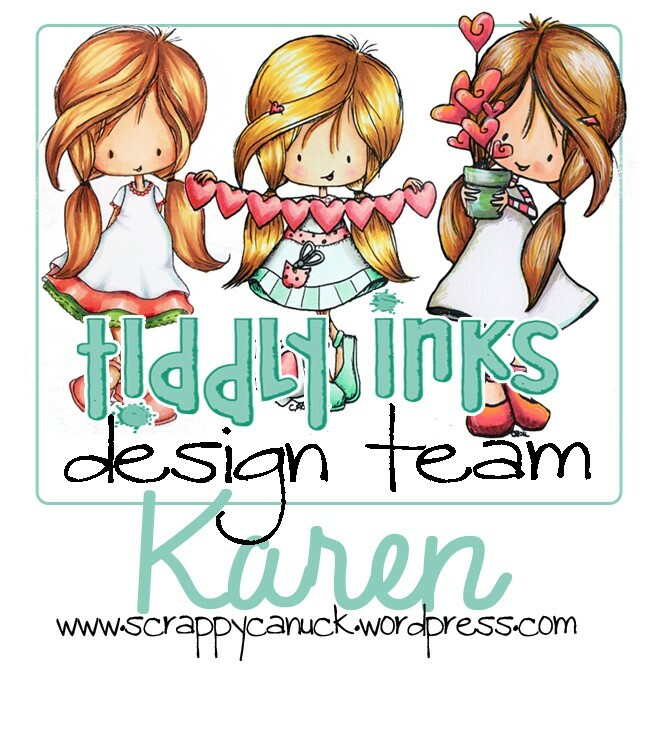 For details on the product used, pop on over to the Doodlebug Blog! Happy St. Patrick’s Day! When I started crafting, I was a almost exclusively a card maker. But like any hobby, my interests have grown, and although I still often default to cards, an area of interest in the last 3 years has been on creating treat containers! Treat containers, like these ones that were inspired by the Strawberries cut file from the new French Kiss collection by Doodlebug, bring together the fun of giving a card with the fun of giving a treat. And really, who doesn’t love a little chocolate or sweet? Oh, and don’t worry if you are not one of those people. We can still be friends – more treats for me, right?! Originally, I was planning on making one of the classic heart shaped boxes filled with chocolates for Valentine’s day, but when I saw the strawberry cut file, I wondered if I could figure out how to use the file to create a box. It was really easy, and I get to show you how! With a bit of darling patterned paper from the French Kiss collection and some textured cardstock, you will have your box together in no time. To create this box, download the Strawberries cut file. In your design software, resize the strawberry to 3.5″ wide (keep your aspect ratio locked so the height automatically adjusts). Duplicate the base of the strawberry shape so you now have two red pieces that are 3.5″ wide. You will use these two pieces for the top of your box. (Optional) At this point, I also duplicated the green piece so I could layer two pieces and get more dimension. This is for aesthetics only and will not change your ability to create a box if your choose not to do this step. Duplicate the red strawberry shape 2 more times. Resize each of these new shapes to 3.3″ wide. These will form the bottom of your box. Please note – I actually found the bottom of my box could have been a bit larger to get a tighter fit on the top and bottom of the box. You may want to try resizing it to 3.4″ instead. Cut your shapes with your cutting machine. 6. Using a paper trimmer, cut two strips of red paper at 1.25″X 12″. Score at the 1/4″ mark on the long edge of your paper. Please note: if you are working with directional paper like I was, you will want to score opposite sides of each strip of paper so you can use one strip for the top of your box and one for the bottom. 7. Use some scissors to cut triangular shapes all the way along the edge of both strips of paper. 8. To create the bottom of your box, take one of the 3.3″ shapes and place it down on your work space. Place glue along your triangular pieces. I used a quick drying glue and would recommend doing so. 9. Starting on the top edge of your strawberry shape, place the triangular pieces underneath the shape, making sure the score line sits right up against the strawberry shape as you work your way around. Spent a bit of extra time around curves making sure your side panel is sticking before moving on. This is why a quick dry glue helps with this project. 10. Continue working all around the shape making sure to stay tight up against the strawberry shape. 11. Once you get all the way around, you will have an overlap. Add some adhesive to the overlapping strip and glue in place. 12. Even with quick dry glue, I clipped the overlapping section with some clothes pins and let the box dry for about 5 minutes. 13. Flip over your box base and place glue all over the bottom. You will now hide the seam you created with the second strawberry shape that also measures 3.3″. I actually decided to have the backside of the paper showing on the bottom because it was just so cute! You can place it with the red side up if you want more of a uniform look. 14. Take off the clips, and the bottom of your box is complete. 15. Repeat these steps with your 2 – 3.5″ strawberry shapes and your other 1.25″x12″ strip to create the top of your box. 16. Embellish the top with the cute file circles, chocolate piece and stem. Please note: If you would like the chocolate to look like it is coming down the side of your box, cut a strip of textured cardstock at 1.25″ wide and at least 5″ long. Once you have placed the chocolate on the top, run the strip of cardstock along the side of your box with some adhesive. trim when you get to the other side of the chocolate piece on top. And there you have it! It seems like a lot of steps, but it really is an easy project! I also decided to run a little Doodle Twine along the bottom for a whimsical embellishment at the last minute. These cute boxes, while perfect for Valentine’s day, would work any time of the year! In fact, I wish I was getting married because these would be adorable favour boxes! Thanks for stopping by and make sure to post some pictures if you give these a try! Good Morning! I am getting so excited for Christmas! This little project is actually an oldie but a goodie. I created it last year for Doodlebug, but never got around to sharing it here at SCS. Given that it is a perfect last minute craft, I thought it would be a good one to feature. If you’ve spent any time here at SCS, you will know that I love Chocolate bar sliders. 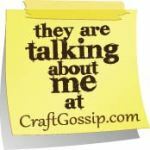 They are an easy craft that takes card giving to the next level. And these ones, featuring Milk and Cookies and Cream and Sugar is a great way to show that you don’t have to own a whole collection of papers to make something great – mix and match and have fun! So, if you’ve got some time (or the need to pull off some last minute treat), these will certainly do the trick! And if you need a tutorial, simply modify this owl one that I created a number of years ago and you will be all set! Thanks for stopping by!